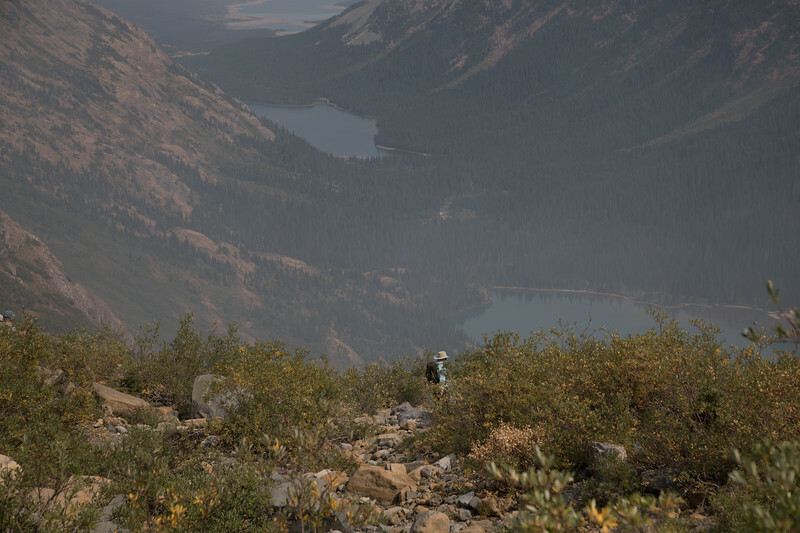 This is near the highest vantage point on the Grinnell Glacier trail. You can see below from closest to furthest, Grinnell Lake, Lake Josephine and Lake (Reservoir) Sherburne. Just out of sight around the slope to the left is Swiftcurrent Lake and the Many Glacier Hotel, where we started (and finished) our day.